Carmody, OP, Sister Lenora (formerly Sister Mary Cyril) of Grand Rapids died on February 9, 2018. She was 92 years old and a Dominican Sister for 73 years. Sr. Lenora earned a B.A. in Mathematics from Aquinas College, an M.A. in Mathematics from the University of Illinois, and a Ph.D. in Mathematics Education from The Ohio State University. She later earned a Certificate in Spiritual Direction from Dominican Center at Marywood. Sr. Lenora taught at Holy Family, Saginaw; St. John, Essexville; St. Anne Alpena; St. Thomas, Grand Rapids; Catholic Central, Grand Rapids; and Aquinas College. She served as principal at some of those schools and at Marywood Academy and served Aquinas College as Dean of Instruction/Associate Academic Vice President and Interim Academic Vice President. Sr. Lenora was awarded grants from the National Science Foundation and the Kellogg Foundation. 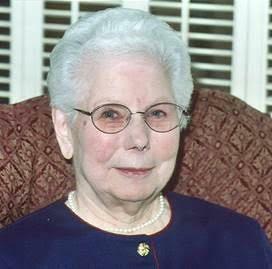 She was an early proponent of The New Math and conducted many workshops for teachers and parents. She wrote her doctoral dissertation on the implications of Jean Piaget’s theories for the learning of mathematics and was a strong believer that this framework could have a positive influence on teaching and learning. She later served as Assistant Director of the Institute for Ministry at Sacred Heart Seminary in Detroit, pastoral minister at St. Robert Parish in Ada and then ten years as bursar at Marywood. Her brother Francis, her only sibling, and an Air Force pilot, was shot down over North Korea in 1953. She deeply grieved his loss, and he is still on the MIA list. Sr. Lenora’s spirituality and faith life were deepened and enhanced by the Second Vatican Council and by her study in the area of the new cosmology. As she learned about the new science, she experienced and spoke of the grandeur of God’s creation with wonder and awe. She is survived by cousins, many dear friends, and members of her Dominican Sisters~Grand Rapids Community. Sister Lenora will repose at Dominican Chapel/Marywood, 2025 Fulton Street East, with visitation on Monday, February, 12 from 4:00 – 7:00 pm, followed by a Remembering Service at 7:00 pm. A Funeral Mass will be celebrated at 4:00 pm on Tuesday, February 13 at Dominican Chapel/Marywood. Burial will be at Resurrection Cemetery. Memorials in Sister Lenora Carmody’s name may be made to the Grand Rapids Dominican Sisters Health Care Fund.